Shimadzu provides method files, including pre-registered MRM parameters with optimized quantitative and reference ions, LC separation parameters, and retention times and peak identification parameters for each compound, as well as report templates for outputting quantitation results, as a package. If retention times are adjusted when the system is introduced, based on the HPLC configuration delivered, the analysis process can be started as soon as the specified columns, mobile phases, and standard samples are supplied. Since LabSolutions Version 5.41 SP1 enables the addition or deletion of components to be analyzed, methods can be easily customized. In addition, the package includes a compound parameter list enables the creation of new tables that list only the components needed. 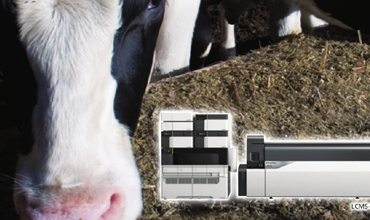 When analyzing data for multiple components and analytes, everything from batch analysis to the creation of reports can be performed by LabSolutions Insight. 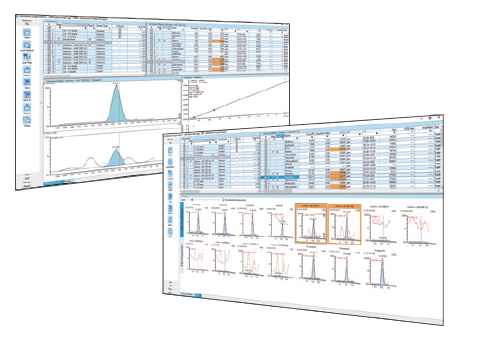 LabSolutions Insight is a software program equipped with quantitative analysis and screening functions. In the analysis window, information is displayed for each target compound and set of measurement data, and both quantitative values and area values can be listed. This allows the user to select the easiest display method for checking the data in accordance with the workflow. In addition, by using the flagging function, only the results exceeding specified standard values are displayed, improving the analytical throughput of multiple components and analytes subject to the regulations.